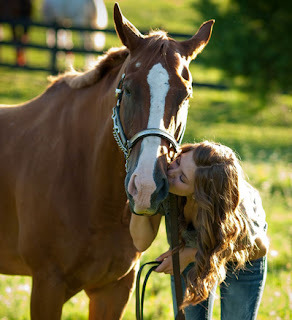 For many people owning a horse is a dream come true, however there are a number of things that you must consider, especially as it is something involves a lot of responsibility. They must be properly fed, have suitable living quarters including shelter for when it is cold and be well maintained. Where necessary, sick or injured animals shall be isolated in suitable accommodation with, where appropriate, dry comfortable bedding. Due to the amount of time they will spend in their stall, comfortable bedding is essential. Straw is a common bedding option for many horse owners; however it can work out expensive as you need a certain amount to provide a comfortable layer between them and the floor. It can also take a while to muck out each time. Rubber matting is a great alternative to straw as it provides a much more comfortable base for them to lie on, as it acts as a great insulator and also provides a cushiony barrier. Although the initial cost is more expensive than straw, they are a great investment, especially with their long lasting and durable qualities. Where animals are continuously or regularly tethered or confined they shall be given the space appropriate to their physiological and ethological needs in accordance with established experience and scientific knowledge. If your horse is injured and does need to be on box rest, you need to ensure that there is enough room for them to comfortably rest, whether that is lying down or standing. Concrete flooring or hard flooring that is used in many stables is extremely harsh on the joints and hooves of your horse, leading to many leg and knee problems. Rubber matting is much easier on their joints, providing maximum comfort and reducing fatigue within your horse. As it also reduces the chances of a slips, trips or falls, it is unlikely that there will be any further accidents. If the person responsible for the horse is seen not to be carrying out their duty of care adequately, they will be served with an improvement notice, which will give the person a time frame and the issues that need to be improved. All the requirements must be met within the time frame, at which point the professional who assessed the situation will reassess to see if the requirements have now been met. If they have not met the requirements, they will be liable for prosecution under the Animal Welfare Act. This post was written by Ekta Mair who, after caring for her own injured horse, wanted to ensure it was as comfortable as possible, so contacted Fairfield Sales for their quality rubber matting and helpful services.